Many of you will have seen Meg around the studios over the years. She’s been having voice lessons with us since 2015. 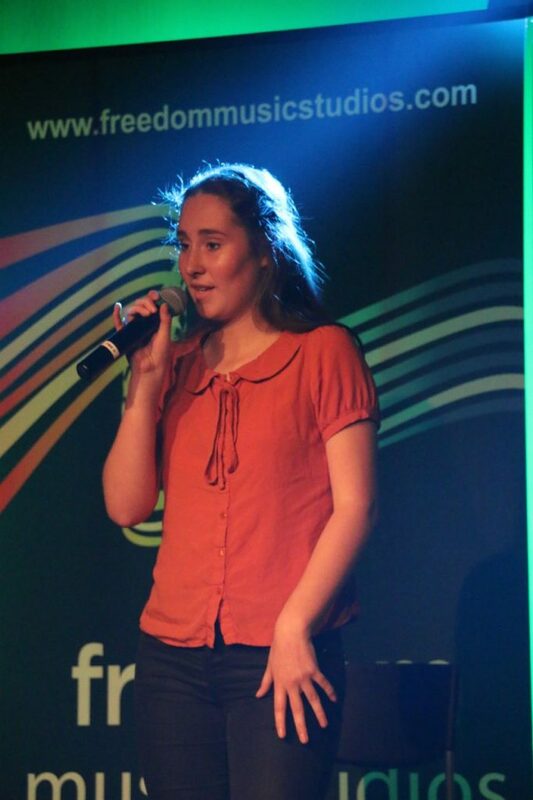 In this time we have watched her grow from a shy year 9 student who wanted to audition for the ensemble of her school production, to a confident adult who won the lead female roles in the Brentwood Secondary College productions of Mary Poppins and In The Heights. 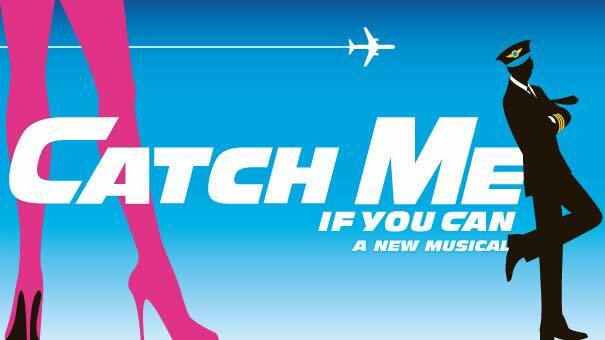 Meg finished Year 12 in 2018 and recently chose to pursue her love for Musical Theatre by auditioning for an amateur theatre companies production of ‘Catch Me If You Can’ . We are so proud of her ambition! It can’t have been easy to front up to an audition, completely unknown to anyone; however, she must have impressed, as she has landed herself a lead role. I asked Meg to write a few details, telling you all about her show and how you can support her. Catch Me if You Can is based on the unbelievable true story of one of the most famous con artists in history – Frank Abagnale Jr.. It is an energetic, fast paced musical set in the 1960’s where we follow the journey of Frank Jr. and the Agent in pursuit of him, Carl Hanratty, over decades. The story is told through Frank’s eyes and his own version of the truth. 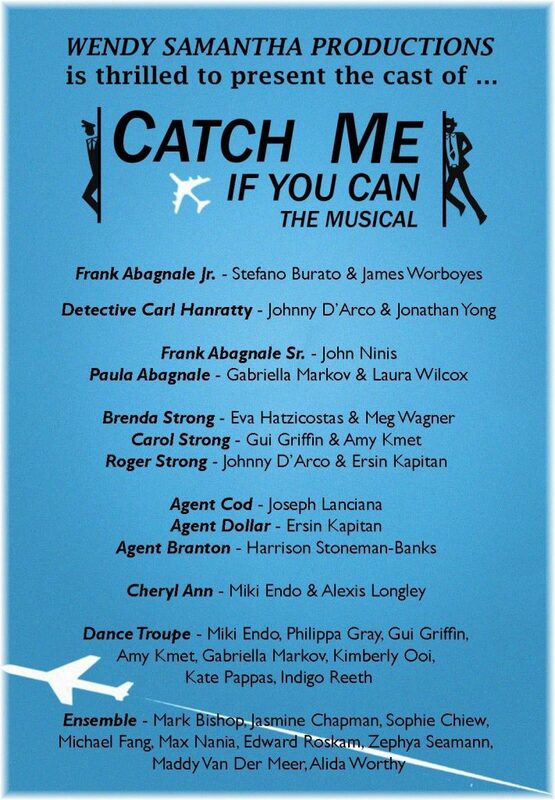 Throughout the production we see Frank, as a teenager, run away from his unhappy home to live a life of great adventure, conning people by assuming a multitude of identities: airplane pilot, doctor, and lawyer, to name a few. a bubbly, naïve and hardworking nurse who falls in love with Frank Jr. as they cross paths while he poses as a doctor at the hospital she works at, and am extremely excited about it! Each role is double cast to give more cast members experience in different aspects of the show, so I’ll be playing this role for two of the four performances. Character allocations for each show are yet to be confirmed and the link to book tickets will be coming out soon, so if you’re interested in seeing a fun filled and high energy musical, keep your eyes peeled! We would all love and appreciate the support!